The Church of St Catherine, Preston is a Grade 2* listed building. St Catherine's means friends, inclusion and being valued for who you are. Because of this, St Catherine's is a thriving and vibrant church with all ages present where we grow in faith and numbers every day. We reach out into Faversham to welcome others to share what we have and the wonderful spirituality that abounds within our community. St Catherine's is high church and tons of fun. We have a brilliant Sunday School that the kids love; they especially enjoy writing and performing puppet plays in the family services to wide appreciation. Our 14-member choir is outstanding and a recent survey highlighted the quality of music as a huge draw to our church. The prayer group meets every fortnight and we have 2 services most weeks. There is so much going but we always ensure we grow together in Christ. Preston now forms a suburb of the town of Faversham, but is a settlement of Anglo-Saxon origin. 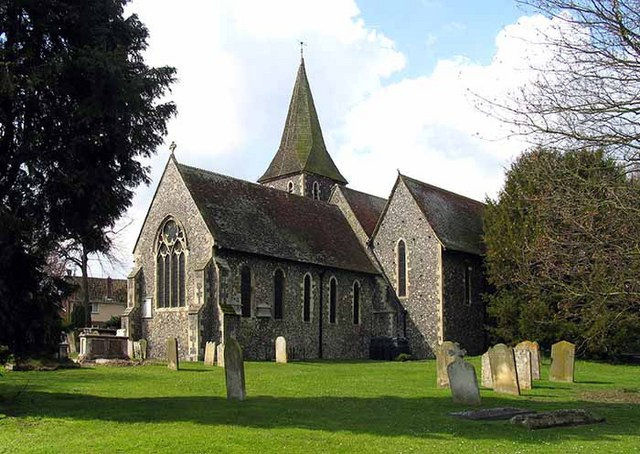 Sir John Betjeman in the Collins Pocket Guide to English Parish Churches has described St Catherine's as, "high and distinguished among the railways and breweries". The church has served the needs of both Preston and the wider community of Faversham since Anglo-Saxon times. All traces of the Saxon church have, however, vanished. Since 2017 St. Catherine has been part of the Benefice of Faversham, whereby all four Anglican Churches in Faversham work closely together. JSt. Catherine's is a lovely place to hold a wedding or a christening; if you have any enquiries please email the parish administrator on favershamchurches@gmail.com, or come along to a service.